At Chicago’s Midway Airport on Jan. 2, Southwest Airlines canceled a third of its flights, lost 7,500 bags and, at one point, had 66 aircraft on the ground—about twice as many as the carrier has gates. Passengers were stuck on the tarmac late into the night. A severe snowstorm was the main culprit, but Southwest managers also blamed ramp workers, suggesting that 1/3 of them called in sick to protest slow contract talks. The workers say they are chronically understaffed and are being blamed for executives’ mismanagement. 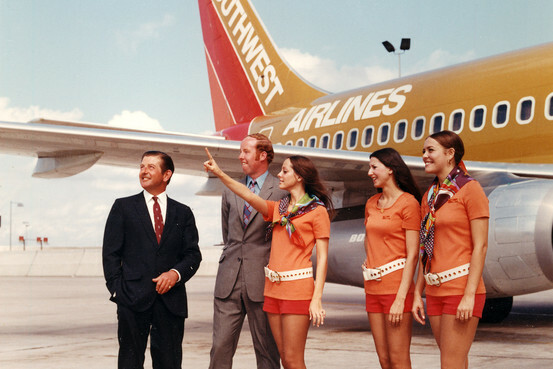 Maybe Southwest is showing its age–43, writes The Wall Street Journal (April 2, 2014). Once the industry’s brassy upstart, the airline has begun to resemble the rivals it once rebelled against: carriers that were slow-growing, complex and costly to run. As we point out in Figure 2.8 on page 42, to help keep things simple and cost-effective, the airline flies one model of plane— 737—with lean, highly productive employees. Southwest employees do have a more demanding workload compared with others. The airline carries about 3,000 passengers per full-time employee, compared with 1,350 passengers per employee at its bigger rivals. But the average Southwest worker earned nearly $100,000 in 2012– compared with $89,000 at a traditional airlines. The OM challenges are many. Southwest is flying fuller planes, connecting more passengers and serving bigger airports that are prone to delays. As a result, some of its operational ratings have plummeted. Last year, it lost more bags per passenger than any other carrier. And after years as one of the most punctual airlines, just 72% of Southwest’s flights were on time in the 4th quarter—dead last in the industry. Further, from 2007 through 2012, Southwest’s cost to fly a seat one mile rose 42%—more than any other major U.S. airline. Southwest also faces costly upgrades to its outdated computer systems—a holdover from its simpler days—to bring them in line with industry standards. After snowstorms forced airlines to cancel thousands of flights this winter, other carriers’ computers automatically rebooked many customers. But at Southwest, employees had to manually reschedule each disrupted passenger.